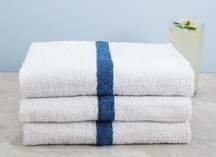 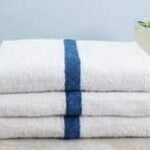 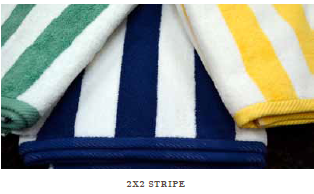 100% pure 10s Cotton towel with a vibrant blue center stripe. 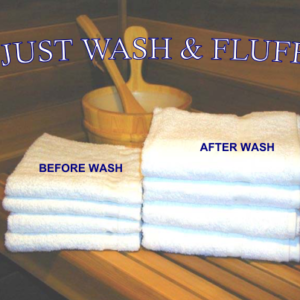 Fade resistant and bleach proof for longer durability. 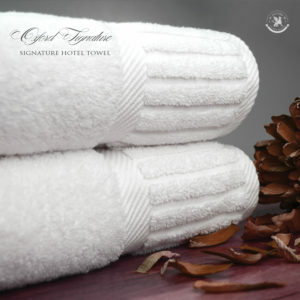 Oxford Signature Bath Towel / Piano Design~Dobby Hem ~ White -Three Sizes Available!